The Coloplast Self-Cath Soft family of latex-free catheters offers patients a variety of options for intermittent self-catheterization. 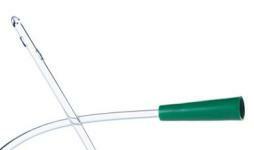 Each Coloplast catheter is made with the highest quality standards dedicated to patient comfort and ease of use. Founded by a nurse in 1957 in Denmark, Coloplast's reputation for innovation has been built by working closely with health care professionals and end customers to develop new products. We value input and are eager to maintain a regular and meaningful dialogue to continue our heritage of innovation and service. The high-performance urology products formerly manufactured and distributed by Coloplast will continue to have the same superior quality, and are now manufactured and distributed by Coloplast. Coloplast provides the widest range of urology solutions and services. Rest assured that your preferred urology products and services will continue to be available from Coloplast. Self-Cath® Catheters are intended for use in male, female, and pediatric patients (neonates, infants, children, adolescents, and transitional adolescents) requiring bladder drainage as determined by their physician. The catheter is indicated for those individuals unable to promote a natural urine flow or for those individuals who have a significant volume of residual urine following a natural bladder-voiding episode. Single-use only. See the device manual for detailed information regarding the procedure, contraindications, warnings, precautions, and potential complications/adverse events. Lightweight. Easy Storage. Safe. Easy to use. Easy to use, comfortable and safe. we frankly don't shop around for brands any more. Comfort and ease of use, as well as the safety of sterile prepackaging make this our only choice for catheterization. thin waled both good and . thin waled both good and . 14 fr is the the most common size for adult males. 16 fr is larger diameter and didn't insert as easily as I'd like. 12 fr inserted very easily but the flow was pretty slow so I've stuck with 14 fr. I have been using a 505230 hydrophilic-coated Olive tip catheter and more was due to arrive by mail and did not, so a local hospital gave me some soft straight tip catheters 501820 till the others arrive. Would the 501820 catheters cause any problem? Is a prescription necessary to order catheters? No, but I did get a prescription after I had used & liked the product. do you need to add a lubricating jelly before applying it and you do what can I use that I can buy over the counter. Yes, it helps wit the insertion of the catheter. The best/least expensive I've found was at Wal-Mart and it comes in a tube or a bottle with pump. Product is their brand - Equate Lubricating Jelly. Compare to KY Jelly. Yes, I use Surgilube, which can also be ordered from AllegroMedical. Lube isn't always necessary, but it does make insertion smoother. I use KY or a generic or Surgilube. You don't need very much. do you offer a sample /multi- brand for male 14fr. cath. to try for differences/before ordering larger quantity? Asked on Jul 27, 2011 1:57:21 PM by jake888 from mi. I think the answer is no. I have the same problem, trial and error. contact the company coloplast and ask for samples.they should be able to help.they helped my brother for his condom cath sizes.we received different sizes they were very helpful. Contact the manufacture they may offer samples if they don't,suggest this to them tell them they should help you it is their product. I have tried numerous online sites and have not seen any samples. However, I can tell you that the Coloplast is by far the best I have found. My urologist recommeded this type and it was a major improvement over the traditional red rubber. Allegro will sell you a small quantity if you want to test it out. I've received some samples from a company and also from my urologist. 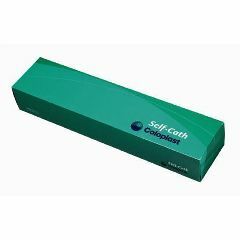 Coloplast Self-Cath works best for me.